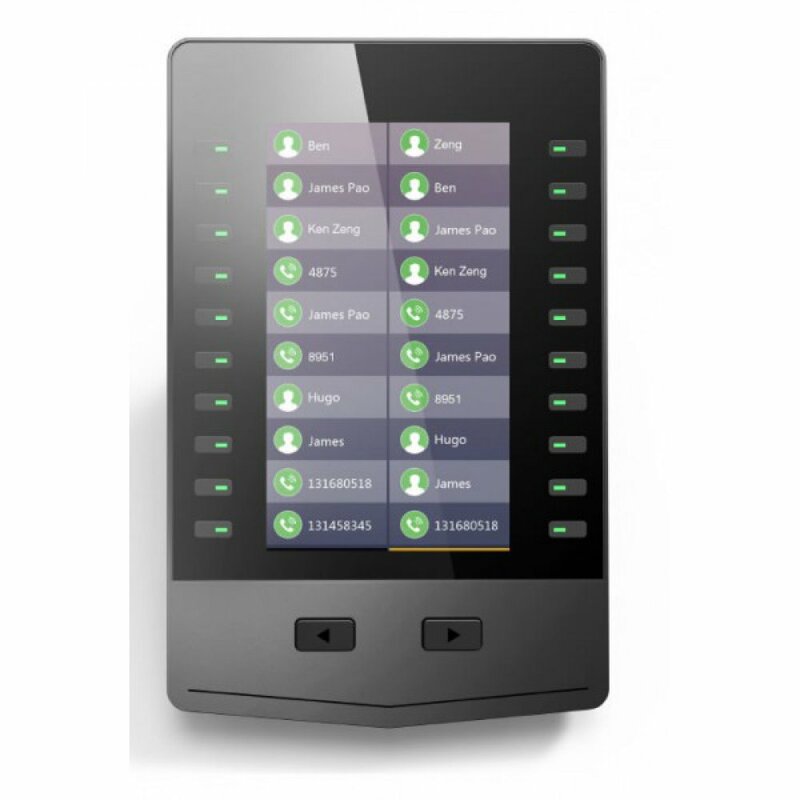 The Fanvil EXP200 is new color-screen Expansion Module, Applies to Fanvil IP Phone (X5S, X6), is designed to expand the functional capability of your SIP phone to a whole new level. EXP200 consists of 20 editable keys and a 5 inch LCD display. 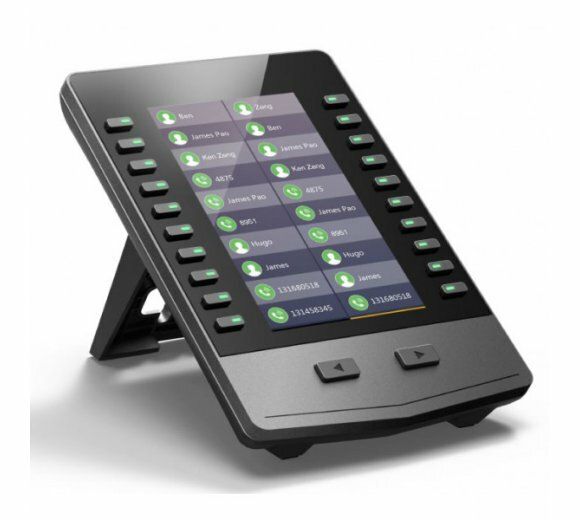 The EXP200 supports the traditional call features on each of its programmable buttons, BLF (busy lamp field, standard or eventlist), call park/pick-up, speed dial, presence, intercom, and conferen/ transfer/forward. 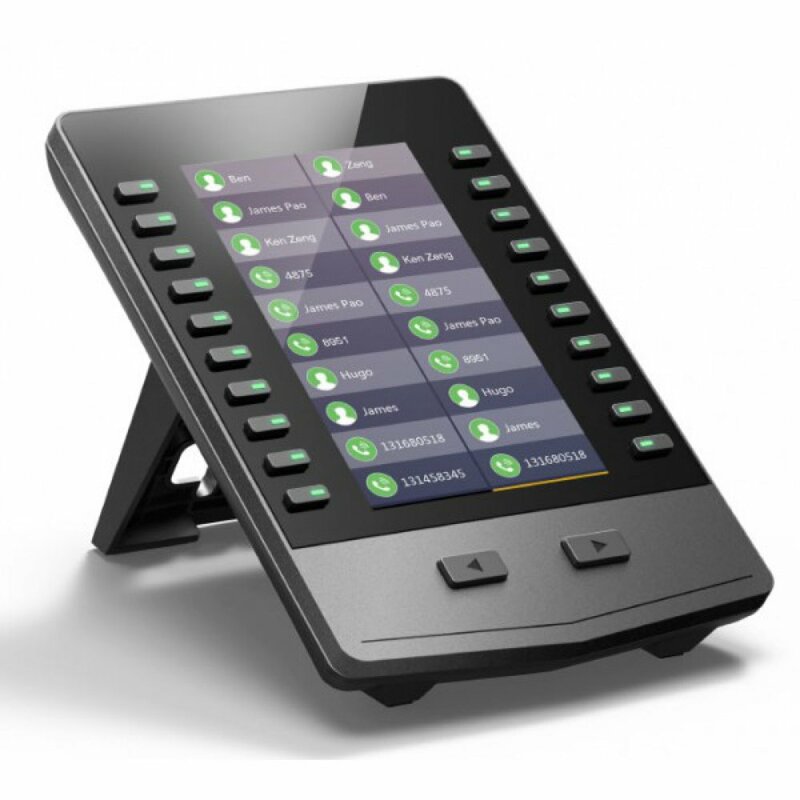 The EXP200 is the ideal solutions for any receptionist or businesses managing high call volume. A 5-inch 480x854-pixel color screen greatly enriches your visual experience. The color icons for DSS keys, all of these offer you a new operating experience.Its two independent control keys on the bottom are used for fast switching to the corresponding page. The Fanvil X5S and X6 can be fully equipped with up to three EXP200 Colorscreen Expansion Modules, while adding 100 additional buttons at most. Max five pages of 20 flexible button with dual-color LED shown on the display can be programmed up to 60 various features that can be used for speed dialing, BLF/BLA, call forward, transfer, etc.Thus, it will help you effecctively manage high volume of concurrent calls, effortlessly monitor calls and extremely boost personal productivity. 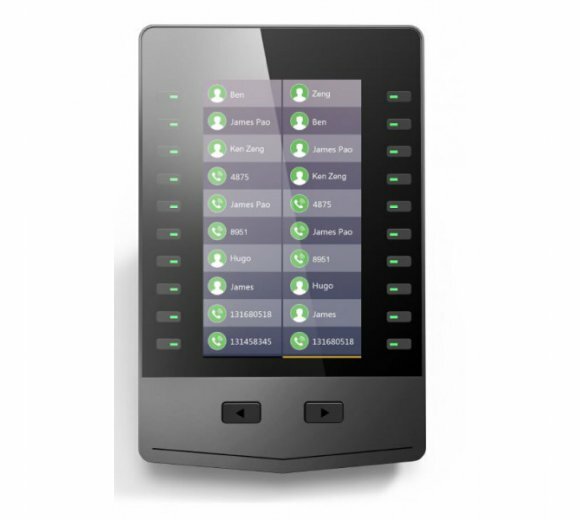 Programmable for shared line, BLF List, call park, Intercom, conference, forward, group pickup, group listening, LDAP, URL etc. A power supply supports three expansion in series.